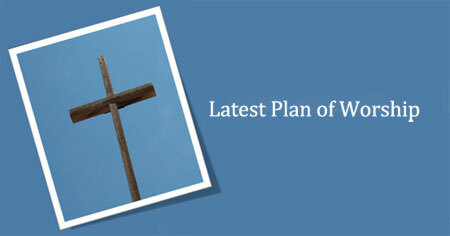 The March - May plan is now available. Find out who, when and where worship is to be held across our area. It is estimated that (overall) about 60%-70% of Methodist services of worship on Sundays are conducted by Local Preachers. Local Preachers are at the heart of our existence as a Church. 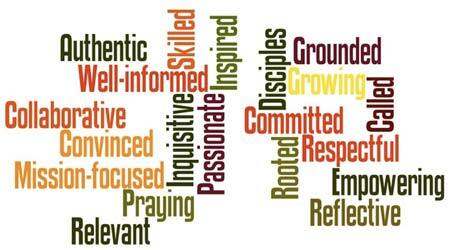 Methodists encounter God in their experience of worship and preaching. This is a great privilege for Local Preachers and a great responsibility too. Indeed, becoming a Local Preacher might seem too daunting, were it not for the preacher’s constant dependence upon the grace of God. Our Circuit is delighted that we have 10 local preachers currently testing the call to preach and they will be given the opportunity to use the new course or continue on their existing pathway. Worship leaders take the first 4 modules and then can choose to continue to study the next 4 modules to become local preachers. We are always happy to see more people answer the call. Maybe the new course inspires you to test the waters in worship leading?? 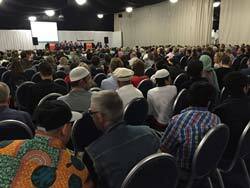 At a packed hall (700+ people) in Beeston, people from a wide range of churches, mosques and schools, with trades unionists and universities' representatives, business leaders, Council leaders and politicians - people of diverse faith perspectives and none and including representatives from our circuit - came together for the amazing first Leeds Citizens Assembly. 10 years on from the awful events of 7/7, this was a huge affirmation of community building / rebuilding not only in Beeston but across the city. Could Citizens bring real observable changes in debt, wages, public transport, dementia and depression care... ? Methodist, Baptists, and the URC were all prominent, as well as Anglicans, Catholics and the New Testament Church of God. This was the churches, in partnership with others, organizing for social change. Is this the new ecumenism?